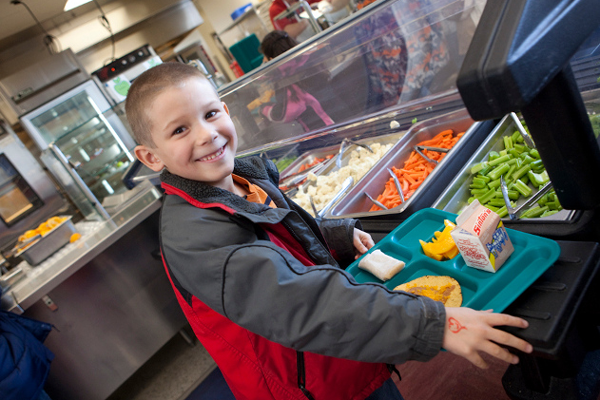 We inspire food service teams to envision a new way of preparing fresh, nutritious student meals. Throughout the process, we show them that this is not just a job, but a calling to meaningfully impact the lives of students. We train kitchen staff on more than 30 culinary topics from knife skills and recipe reading to time management, menu planning and meal program promotion. Food service directors and their staffs gain pride and rediscover the joy of cooking with this old-fashioned approach to “real” cooking. They find a renewed sense of commitment to serve their entire community. Participating districts are eligible to receive a donation from LiveWell Colorado to purchase minor kitchen equipment to assist with in-house processing of raw ingredients. We assist food service directors and their staff in creating action plans based on the district’s unique vision, specific challenges, staffing and equipment needs. Once these five conditions are met, a school district should have the capacity and confidence to make meaningful changes to their meal programs. When that happens, students are better positioned to load up on natural, healthy, and “homemade” food.